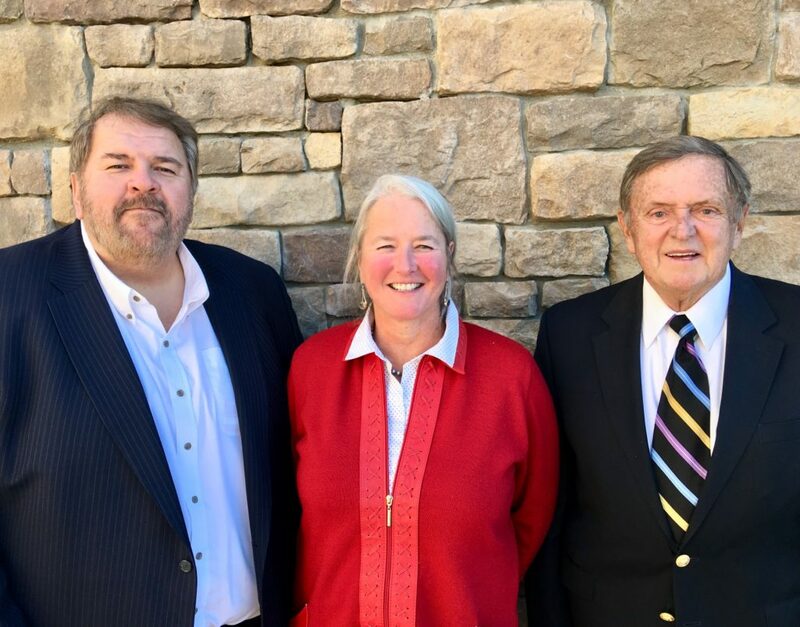 Sacramento, Calif. (January 30, 2019) – The California Fire Safe Council (CFSC) today announced the appointment and election of officers of the Board of Directors. Jerry Davies has been elected to a fifth term as Chairman of the CFSC Board of Directors, effective immediately. Mr. Davies is a founding member of CFSC and a retired insurance industry executive. Tracy Katelman has been appointed to the post of Executive Director, effective February 15, 2019. She replaces retiring Executive Director Stephen Gort who has served as Executive Director since 2016. “I’m honored to be chosen to lead the California Fire Safe Council at this crucial time for our state,” Katelman said. “I look forward to helping to empower California residents, via the 200+ community Fire Safe Councils and other local organizations, to safely survive wildfire and build fire-resilient communities.” Executive Director Katelman can be reached at 916-648-3613. Ruben Grijalva was elected Vice-Chairman of CFSC, effective immediately. He served as Director of the Department of Forestry and Fire Protection (CAL FIRE) from 2006-2009, and State Fire Marshal from 2004-2007. He has more than 34 years of experience in the fire service, serving most recently as Executive Director of the California Fire and Training Authority. David A. Horne, CFSC Treasurer, Ph.D. Professor Emeritus, Marketing, College of Business Administration California State University, Long Beach. Troy Whitman, CFSC Secretary, Senior Fire Management Officer, Southern California Edison Co.
J Lopez, CFSC immediate past Vice-Chair. L.A. County Fire, Assistant Chief. Kate Dargan is a former California State Fire Marshal, and former Napa County Fire Marshal and firefighter with CAL FIRE. Pat Kidder is a former CFSC board chair and retired BLM State Fire & Aviation Officer. Dave Bischel is former President and CEO of the California Forestry Association. Niel Fischer, is a RPF, Attorney at Law, and Supervising Vegetation Manager at PG&E. He practiced forestry for private timberland owners for 16 years. Dave Shew is a former CAL FIRE Staff Chief, fire consultant. Robert E. Raymer is Senior Engineer/Technical Director of the California Building Industry Association (CBIA). Mr. Raymer has over 35 years of experience in building code development and adoption at the state and national level. Laura S. Blaul has more than 28 years of service with the Orange County Fire Authority, progressing from Paid-Call Firefighter to Assistant Chief/Fire Marshal. Robert (Bob) Roper has more than 40 years of fire service experience and served as the Fire Chief of the Ventura County Fire Department. He has been actively involved in fire protection policy on a local, state, and federal level. George (Ed) Mertens was a Lieutenant volunteer firefighter with the Higgins Fire Department in Grass Valley for 13 years. He has served as a founding member of the Nevada County Fire Safe Council. Pat Frost was a District Manager for the Trinity County Resource Conservation District. He now teaches Biology and Natural History at Shasta College. Frank Stewart is an RPF and represents the CFSC in the Sierra Nevada Conservancy and the Sustainable Forest Action Coalition. Founded in 1995, CFSC, is a statewide non-profit organization administering federal grants from agencies like the U.S. Forest Service and others to create fire-safe communities throughout California. These funds provide grant monies to local Fire Safe Councils and other community organizations in California using CFSC’s innovative Grants Clearinghouse. The CFSC Grants Clearinghouse is an online grant application process that makes it easier to find and apply for wildfire prevention grants to support community projects. In its 15 years of grant making, CFSC has funded over 900 grants totaling over $95 million for projects to reduce hazardous fuels, provide wildfire prevention education, create risk assessments, and Community Wildfire Protection Plans. For more information visit www.cafiresafecouncil.org.